The Indian car market is bustling with news about new car launches, face-lifts, special editions and future car concepts, by various car manufacturing companies practically every month. Adding fuel to this cut-throat competition, the government slashed the excise-duty on sedans witch measured less than 4-meters. This step taken by the government boosted the growth and development of new cars in the compact sedan segment in India. As Indians owning a “big” car gives one a sense of pride, a compact sedan gives the much desired “big” feeling and does not drill a hole in one’s pocket. Seeing the potential in the compact sedan market, various big car manufacturers like Hyundai Motor India Ltd, Tata Motors Ltd, Honda Car India, Maruti Suzuki India and Ford India, have all set out on a mission to conquer the market. The 2014 Delhi Auto Expo, seemed to have laid a foundation for the growth and development of the compact sedan segment (B-Segment) in India. With a number of new cars introduced by different car manufacturers, it must be confusing to choose which is the best of the lot. We have put together a list of the top few cars, just to give a birds-view of what the compact sedan car segment has in store for you. Tata Motors were the first to roll out a sub 4-meter sedan in 2002 the Tata Indigo CS (compact sedan). 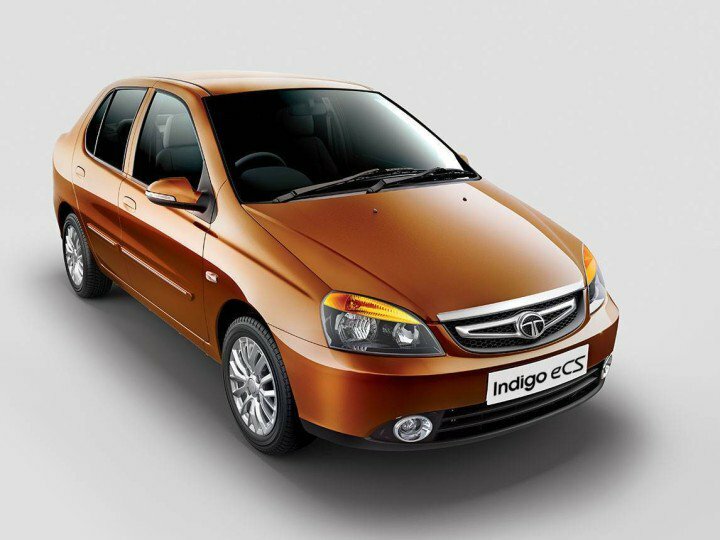 Tata Motors then introduced the Indigo eCS, which was based on the Indigo CS. The interior and exterior designs were much like the Indigo and hence did not take on in the market. Tata Motors planned to reclaim their spot among the leaders in the compact sedan segment, with the launch of the Tata Zest this month. 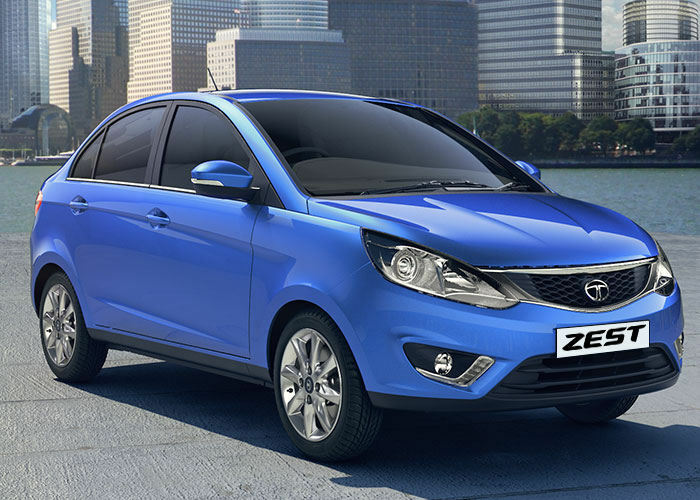 The Zest comes with a completely new design developed by Tata Motors. The Zest sports a new grille, new headlamps, LED tail-lamps and alloy-wheels. The interior is deigned according to modern tastes with steering controls, digital display and a 2-tone dashboard. The other added feature is the Corner Breaking Stability (first in its segment), which helps to tackle corners with ease even at high speeds. The Zest will be powered by a 1.2 litre, 4-cylinder, newly developed Revtron petrol engine mounted with a 5-speed Manual transmission, which will churn out a power of 89BHP and 140Nm of torque. It will also be available with a 1.3litre, 4-cylinder, Quadrajet diesel engine, with a 5-speed Automated manual transmission,which will produce 89BHP of power and 200Nm torque. The Zest may be priced approximately between 5lakhs- 8lakhs (ex-showroom). We hope the Tata Zest and the Tata Bolt help to restore Tata Motors glory this year. Honda Car India have tasted success with the Honda City and it variants in the sedan car segment. Honda introduced the Honda Amaze, catering to the compact sedan car market. 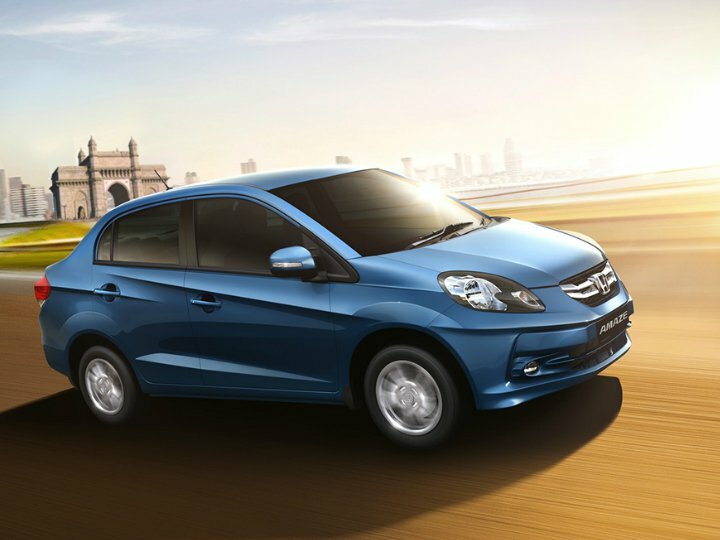 The Amaze borrows its style from the Honda Brio, except for minor changes to differentiate the Amaze from the Brio, the front facade is more or less the same. The difference is noticeable at the rear end, with the boot neatly integrated with the car design. 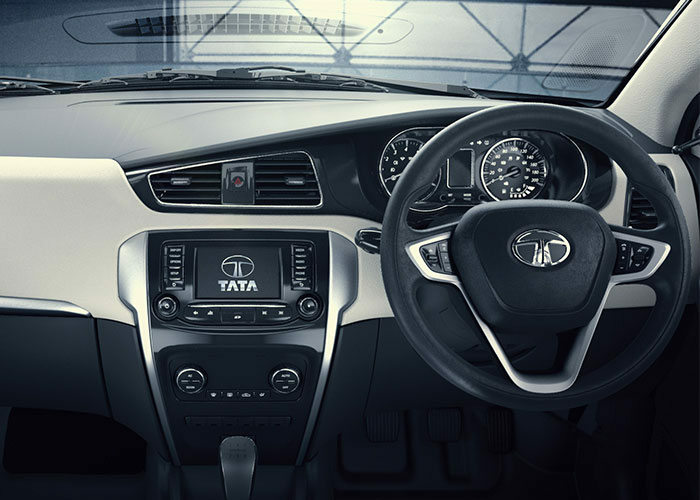 The Amaze comes with a 3-tone hard plastic dashboard, which may be a let down compared to the other cars in the segment. The interiors are simple yet stylish. 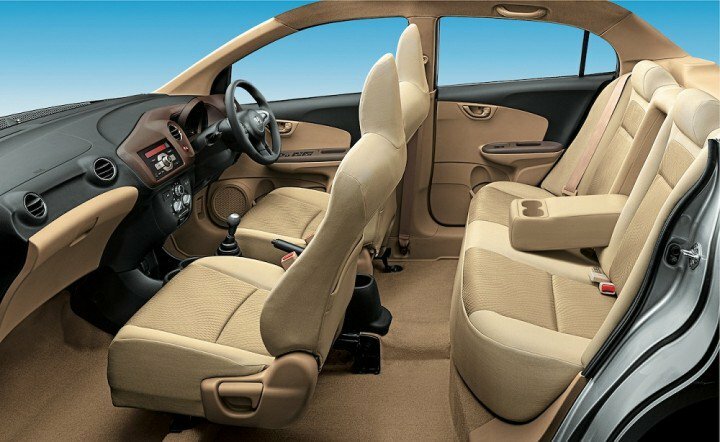 The Amaze like the other Honda cars is designed with a good amount of seating space in the front as well as the back. The Honda Amaze is powered by a 1.2 liter,4-cylinder, SOHC i-VTEC petrol engine, which produces 88 BHP of power and 109NM of torque with 18kmpl fuel efficiency. The Amaze diesel variant is powered by a 1.5 liter, 4-cylinder, DOHC i-DTEC, diesel engine, with a power output of 100 BHP and 200Nm of torque with a fuel efficiency of 25.8kmpl . The Amaze is strategically priced between Rs 5 lakhs- 7,5 lakhs. With the Brio failing to capture the market, Honda hopes to succeed with the Amaze and the recently launched Honda Mobilio. 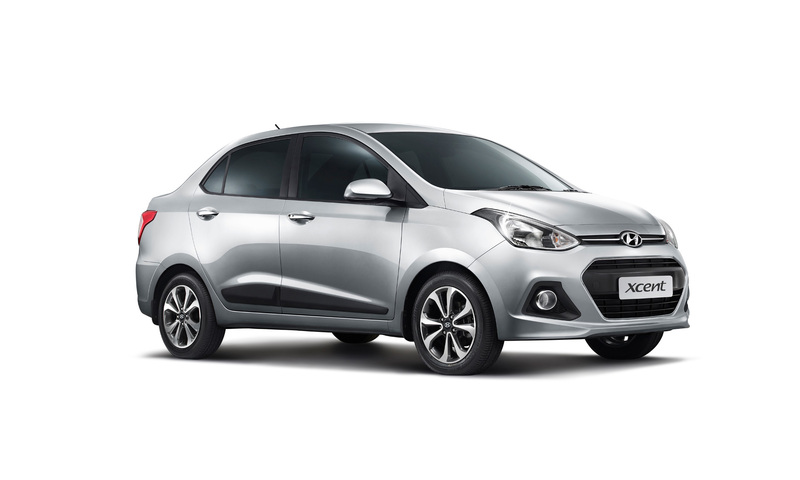 Hyundai Motor India launched the Xcent earlier this year to replace the old Hyundai Accent. The Xcent incorporates its design from the Hyundai grand i10. The front facade of the car is neatly designed with a small front grille, a large air-dam and compact headlights. The boot is neatly merged with the body-line of the car which gives it a sleek and trendy look. 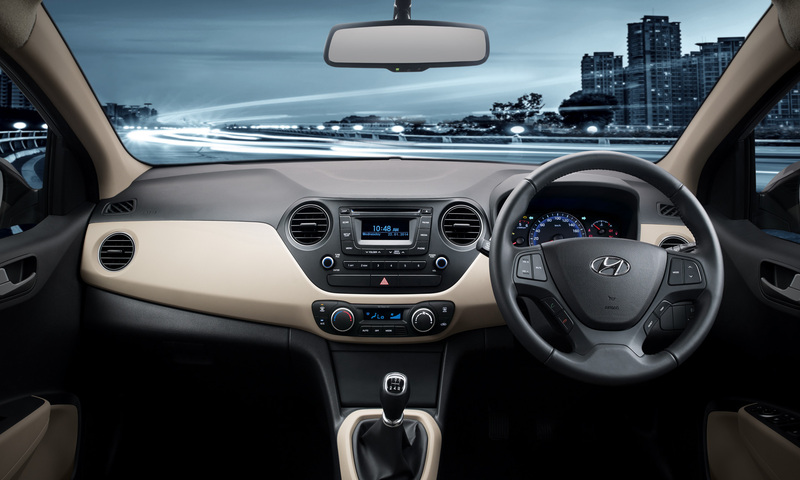 The interiors are similar to the Grand i10, the controls and AC fit well into the 2-tone black and beige dashboard, which add a premium look to the interiors and the rear AC vents add the extra coolness to the car. The Xcent’s power supply comes from a 1.2 liter, 4-cylinder, Kappa petrol engine, with a 5-speed Manual transmission and also 4-Speed Automatic transmission, which produce 82BHP power and 114Nm of torque, with a fuel efficiency of 16.3kmpl. The diesel version comes with a 1.1 litre, 3-cylinder, turbo-diesel engine, which gives 71BHP power and a torque of 180Nm, with fuel efficiency of 22.28KMPL. The Xcent’s price ranges between 4.66 lakhs- 7.42 lakhs. Hyundai is set to prove itself in the compact sedan segment with the Hyundai Xcent. 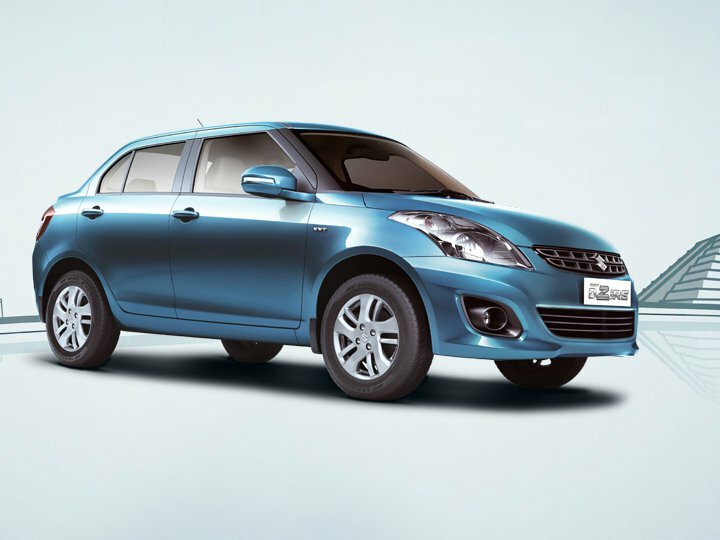 Seeing the success of the Maruti Swift in the Indian market, Maruti Suzuki launched the Swift DZire to compete in the compact sedan car market in India. The new Swift DZire like the other cars in this segment borrows its design from the Swift. 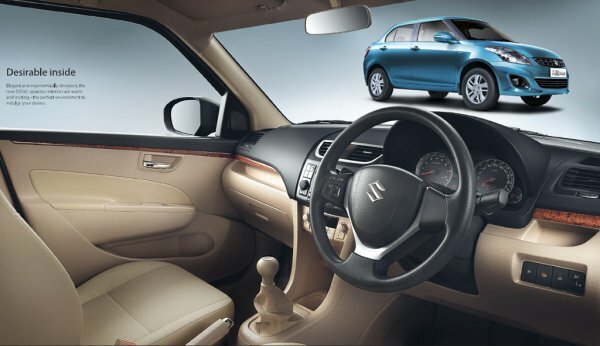 The interior of the DZire shows class with a 2-tone wood finished black and beige dashboard, which comes with climate controls, digital display and double-DIN sterio system. The Swift DZire petrol is powered by a powerful 1.2 liter, 4-cylinder, K-12, VVT engine, which produces 86BHP of power and 114Nm of torque mated to a 5-speed Manual transmission and also available with a 4-speed Automatic transmission, which gives an average of 19.1 KMPL and 17.4 KMPL for the Automatic version . The DZire diesel is powered with a 1.3 liter, 4-cylinder, D-13A engine, which gives a power output of 74BHP and 190Nm of torque. The Swift DZire is priced between 4.85 lakhs- 5.32 lakhs. The Swift twins are popular because of a perfect balance between fuel efficiency, power and ride quality. We hope the Swift DZire continues to dominate the compact sedan segment. With increasing competition in the compact sedan segment, car manufacturers are in drive-mode to mark their spot in this growing segment. Joining the race is Ford India, who plan to launch the Ford Figo sedan concept in 2015 and Volkswagon/Skoda plan to launch the minimized version of the Vento based on VW PQ25 platform. In the coming months the competition in this sector will heat up, till then Tata Zest, with a newly developed Revtron engine and design fabrication seems to have the upper hand in this segment, in lieu of the others which are developed on their hatchback siblings. In the end all we can do, is give an opinion, but YOU are the one to judge the winner. Audi to ‘Make in India’ ? 7 steps to follow when your brake fails!